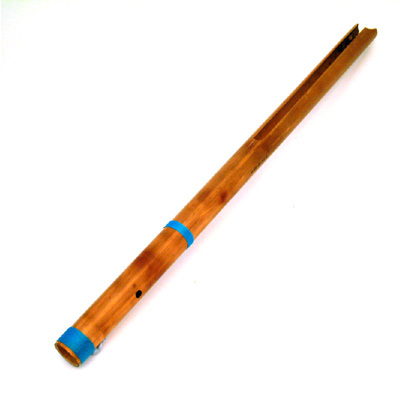 An unusual split bamboo percussion instrument from India. Striking the Devil Chaser creates an interesting vibration which can be modulated using the finger hole. Diameter: 2.5 cm, Min Length: 50 cm.